If I roll my kids through the grocery and tell them they can pick a few healthy snack foods to keep in the house through the week, without fail they grab for a bag of Halos. 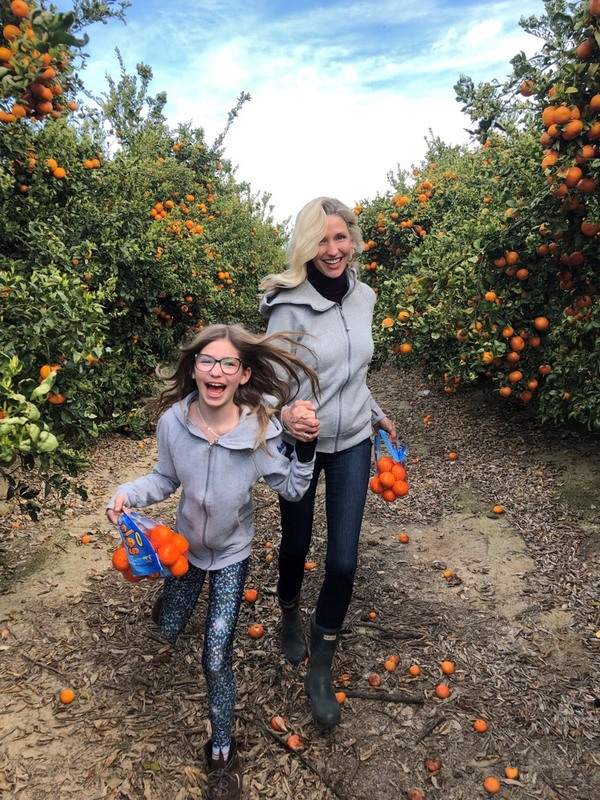 Can you imagine their faces when I told Kenya and Chloe that I’m partnering with Wonderful Halos and we were invited to visit the actual Wonderful Halos orchard in northern California over their spring break? I’m not kidding when I tell you they started screaming and jumping up and down. 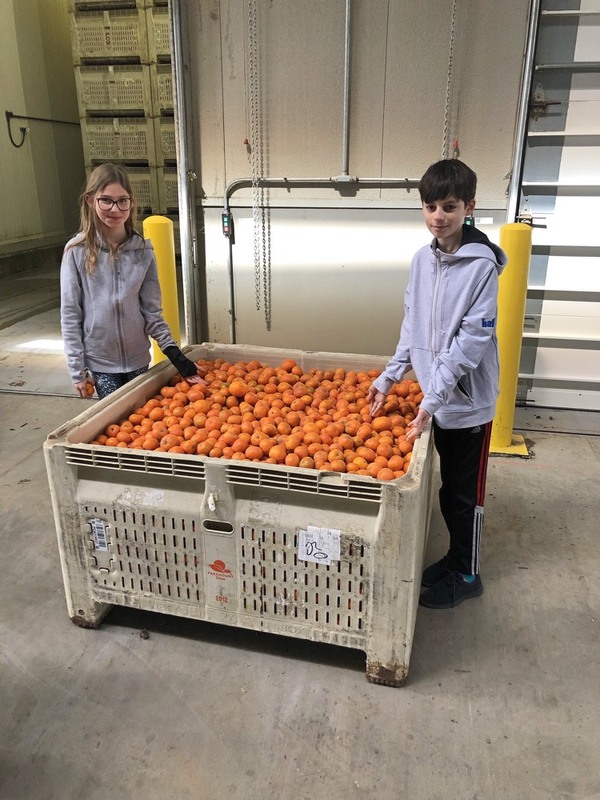 I grew up going to u-pick farms in Kentucky and Indiana to gather some of the fresh produce we ate in our house, so I know the power of being a kid seeing and picking fruits and vegetables right off the tree and understand just how magnificent they taste. 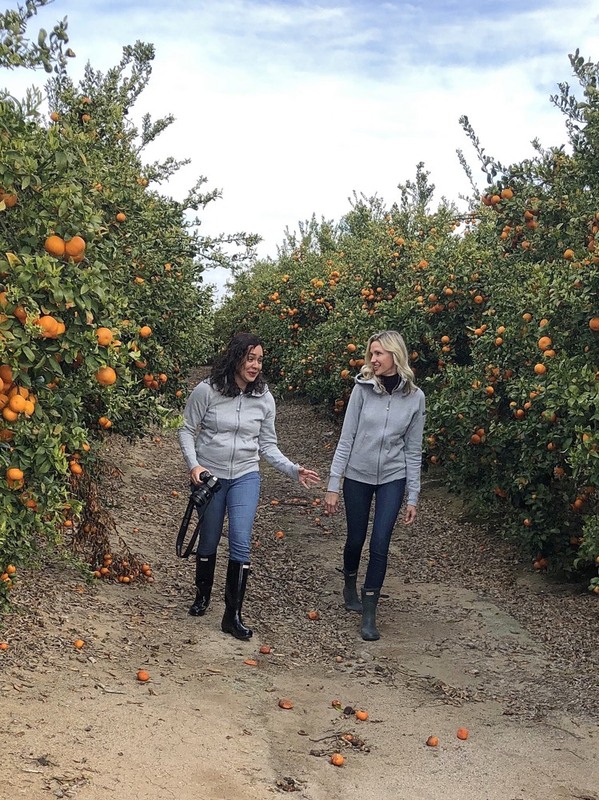 We started by meeting at the airport in Los Angeles to take the Halos plane up to the orchard and production factory with the incredibly kind Wonderful Halos team. This within itself was one of the coolest things we’ve ever had the chance to experience. As soon as we landed we got to visit the Halos headquarters and meet some of the team members who make the daily magic happen. We all received the softest Halos sweatshirts that made us feel like we were part of the team. Now the really fun part- heading to the orchard. 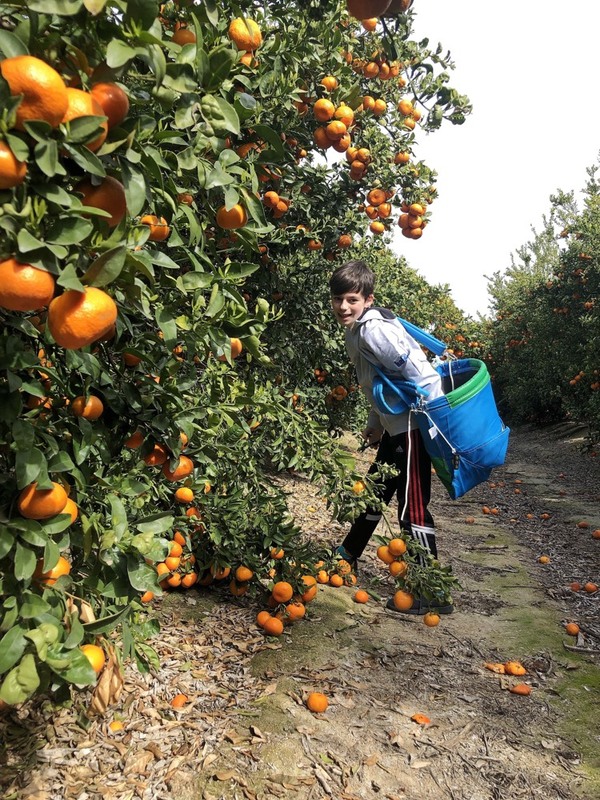 As soon as we arrived the kids jumped out of the car and headed down the mile long rows of gorgeous mandarin trees. 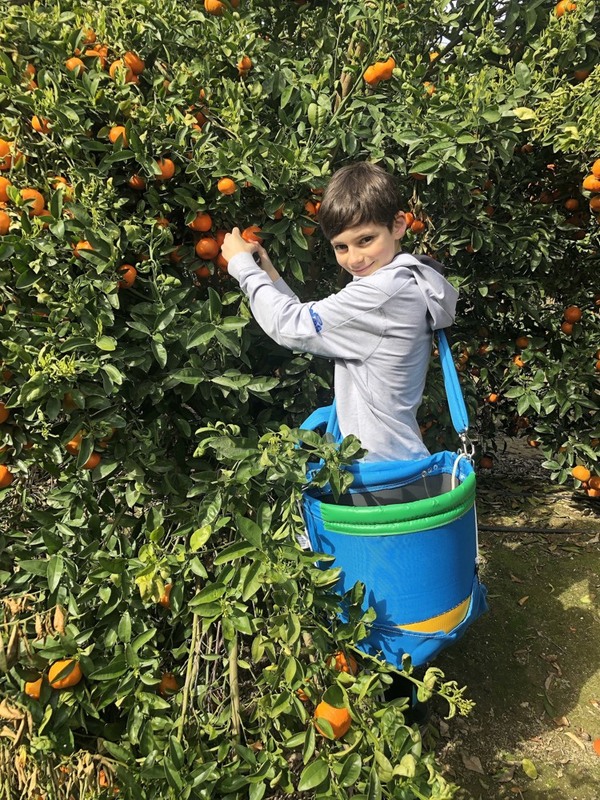 We all received baskets and clippers to pick bushels and bushels full of sweet and juicy Wonderful Halos. It immediately took me back to my own childhood experience. 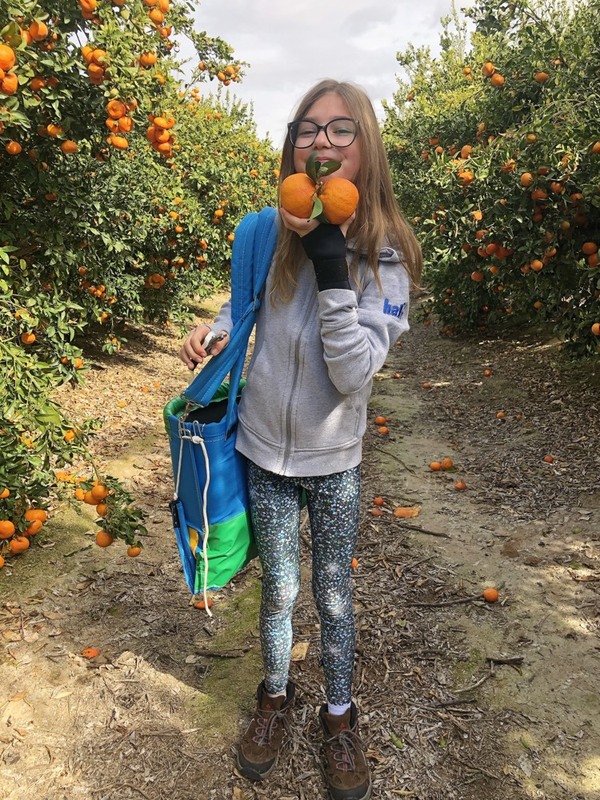 Smelling the sweet mandarin blossoms, combing through thousands of trees filled to the brim with one of our favorite healthy snack foods. 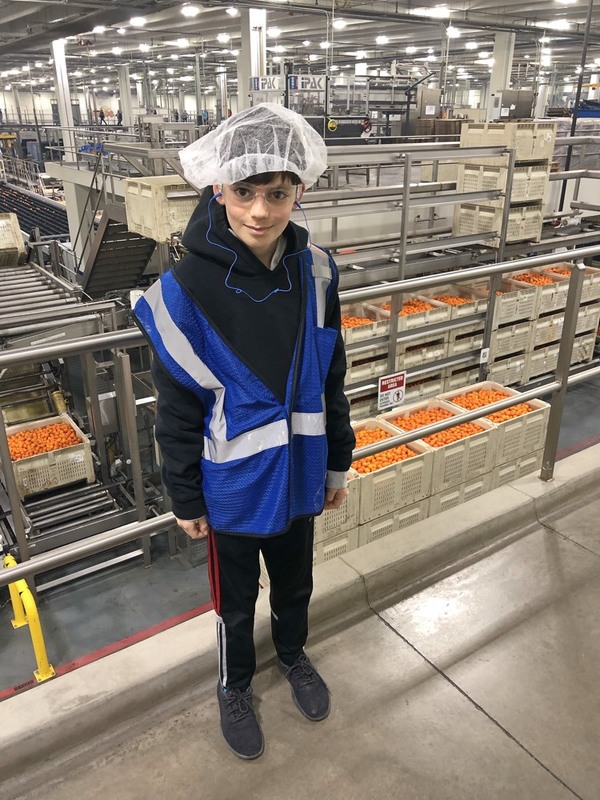 After an hour plus in the fields we headed to the Halos factory to see how the mandarins are sorted based on their size, washed and then bagged into mandarins that will be delivered all over the country for our eating pleasure. We were fascinated seeing the entire process head to toe and watching the intense care and love the entire Halos team puts into their job. 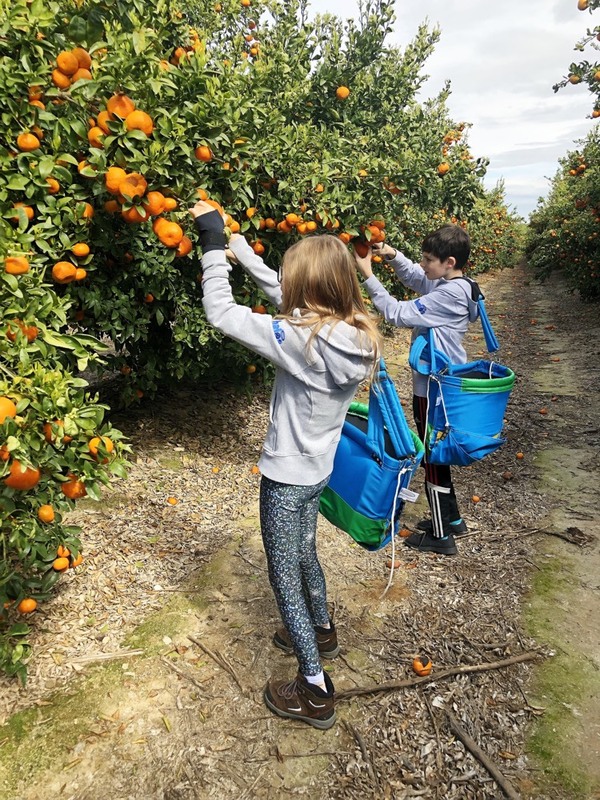 At the end of our adventure we sat peeling and eating endless Wonderful Halos mandarins, reminiscing about our day with Gemma and my husband and truly appreciating everything that goes into growing and caring for each and every one of them! I’ve partnered with Wonderful Halos on this post. All thoughts are my own.